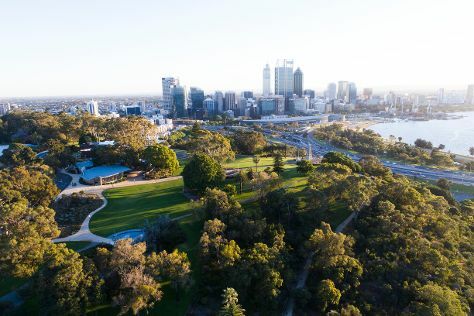 Start off your visit on the 19th (Fri): explore the activities along Swan River, then contemplate the long history of The Perth Mint, and then admire the natural beauty at Kings Park & Botanic Garden. To find where to stay, ratings, other places to visit, and other tourist information, you can read our Perth trip planner . The Route module shows you travel options from your home to Perth. In April, daily temperatures in Perth can reach 31°C, while at night they dip to 15°C. Cap off your sightseeing on the 19th (Fri) early enough to travel to Geraldton. Geraldton is a coastal city in the Mid West region of Western Australia, located 424km north of Perth.At June 2015 Geraldton had an estimated urban population of 39,825. 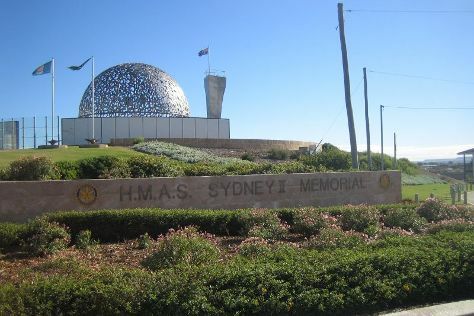 On the 20th (Sat), brush up on your military savvy at HMAS Sydney II Memorial, take an in-depth tour of Museum of Geraldton, then enjoy the sand and surf at Town Beach, and finally take in the architecture and atmosphere at St Francis Xavier Cathedral. To see ratings, other places to visit, where to stay, and other tourist information, read our Geraldton driving holiday planning website . Getting from Perth to Geraldton by flight takes about 3 hours. Other options: drive; or take a bus. In April in Geraldton, expect temperatures between 33°C during the day and 18°C at night. Wrap up your sightseeing on the 20th (Sat) early enough to travel to Karijini National Park. Coral Bay is a small town on the coast of Western Australia, north of Perth. Start off your visit on the 21st (Sun): get outside with Aqua Rush, then look for all kinds of wild species at Ningaloo Marine Park, and then identify plant and animal life at Wildlife Areas. Here are some ideas for day two: see majestic marine mammals with a dolphin and whale watching tour. For more things to do, reviews, traveler tips, and other tourist information, read our Coral Bay visit planner . Getting from Geraldton to Coral Bay by car takes about 7.5 hours. Other options: do a combination of flight and bus; or take a bus. Finish up your sightseeing early on the 22nd (Mon) so you can go by car to Exmouth. Exmouth is a town on the tip of the North West Cape in Western Australia. Start off your visit on the 23rd (Tue): take in the exciting artwork at The Ningaloo Gallery, meet some fierce fish with a shark diving experience, and then see the vivid underwater world at Ningaloo Reef. Here are some ideas for day two: visit a coastal fixture at Vlamingh Head Lighthouse, contemplate the waterfront views at Yardie Creek, and then tour the pleasant surroundings at Turquoise Bay. To find reviews, other places to visit, where to stay, and other tourist information, you can read our Exmouth trip planner . You can drive from Coral Bay to Exmouth in 2 hours. Alternatively, you can take a bus. April in Exmouth sees daily highs of 38°C and lows of 23°C at night. Finish your sightseeing early on the 24th (Wed) to allow enough time to travel to Karijini National Park. Kick off your visit on the 25th (Thu): take your sightseeing to a higher altitude at Mount Nameless and then trek along Karijini National Park. Get ready for a full day of sightseeing on the next day: hike along Dales Gorge. Use Inspirock's suggestions to plan your Karijini National Park trip and find the best activities and attractions for your vacation. You can drive from Exmouth to Karijini National Park in 7.5 hours. 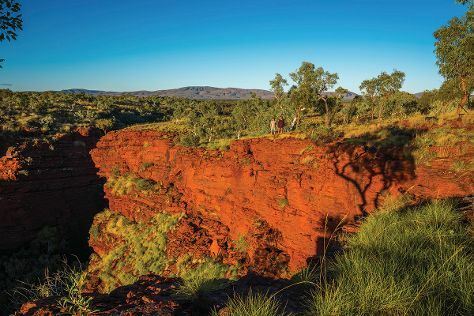 In April, daytime highs in Karijini National Park are 38°C, while nighttime lows are 23°C. Finish your sightseeing early on the 26th (Fri) so you can travel back home.